This is the red powder that turns black in the water. 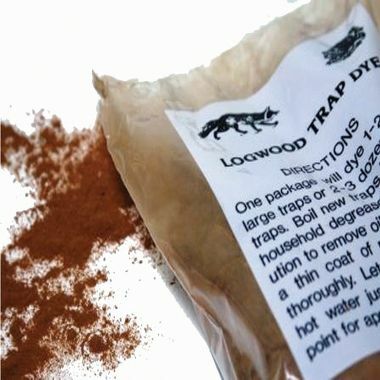 I have found it to be as good as black crystal dye and alot less expensive...1lb bag. Instructions on the bag. 1lb does about 2-3 dozen traps.